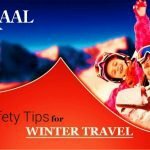 Along with its blistering cold temperatures, the winter season brings a lot of hazards along with it. 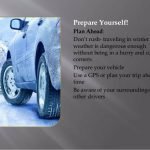 From snow and ice to sleet and hail, wintertime elements can quickly turn otherwise safe travel into hazardous driving conditions. 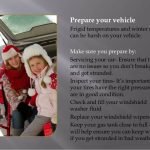 Making sure both you, your vehicle and your family are prepared is the best way to help keep you safe all season long. 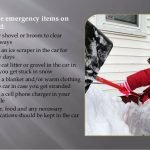 Furthermore, keeping certain emergency items in your car can help you avoid some of the winter’s most troubling driving conditions. 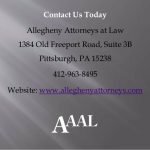 If you do find yourself in an accident, don’t hesitate to call the lawyers at Allegheny Attorneys at Law. Our team of Pittsburgh lawyers can help you seek compensation for any injuries you suffer, and protect your rights throughout any legal proceedings. 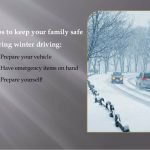 Make sure you have the personalized attention and support you need following any driving accident and contact the team at Allegheny Attorneys at Law.